I haven't posted for awhile because May has been a busy month. We had a nice visit to my parents house and I am hoping to post the pics and stuff in the near future. Since we have been home (2 weeks today) the water heater has broken and needed to be replaced, my computer is going crazy and I don't trust loading my pictures on to it- that's why I'm not posting. And thursday the A/C decided to stop working. Thats the next issue to deal with this week. Throw in all the normal day to day life, Doctor appts and primary stuff and I just want to go to bed instead of do anything else. Plus poor Garin has been having to bust his hiney at work lately so when he is actually at home he is still occupied with more work. Hopefully things only happen in threes and I can relax a little instead of wondering what else is going to break or go wrong! A symptom of pregnancy that I have been dealing with is a constant need to be working on a project. No matter how tired I am I just want to keep working, but it has to be something fun, I'm not itching to do any chores! 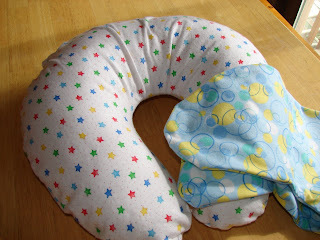 This is a 'boppy' pillow that I made with 2 covers. This was super easy and inexpensive. The pillow alone only cost about $3.00 to make and each cover about $4.50. For the pillow, I bought a $3.00 twin sheet and that makes 4 pillows! This I think is a good and easy homemade gift if you have a shower or something coming up. Here is the link to the instructions. 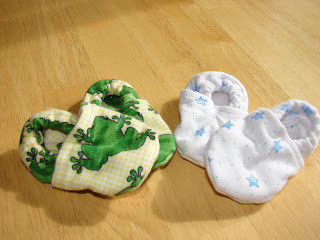 With the leftover fabrics from the 'boppy' covers (Gretchen and I made 5 covers) I made these adorable little booties and some matching burp cloths. The booties I got from Sharon's blog and watched her make some at the craft weekend from a few weeks ago. I love these booties and have a stack of fabric waiting to be made into more. They are also a fun inexpensive gift idea that is easy to make and you could even use scraps you already have. 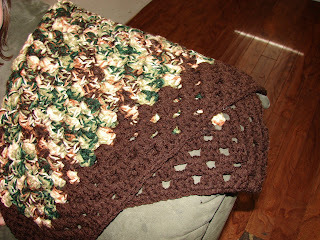 Here is a link to Sharon's blog for the pattern and some that she made. I have also crocheted two baby afghans. I just did an easy giant granny square with a larger hook so it went fast but I like how they turned out. This is the one I made for my little guy. I have a couple of other crocheting project in my 'queue' but hey are going to have to wait. I have been having a little trouble with some pregnancy related carpal tunnel and after working on these blankets, I had a few really troublesome nights. Now, beckoning me from my sewing pile, I still have the fabric for a quilt and a 'Moby' style wrap to make. 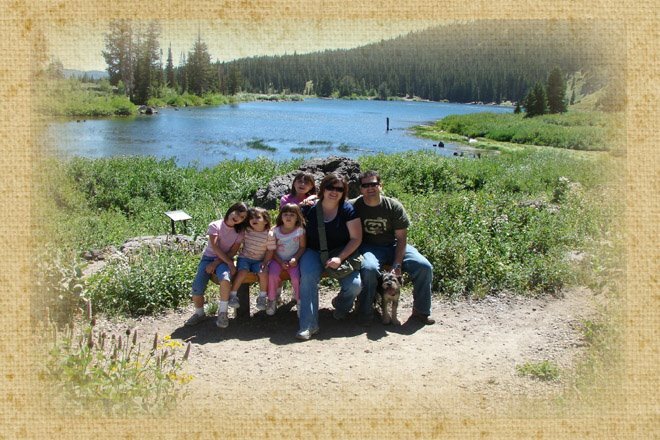 It has been hard for me not to want to just get to it but this week I have to be getting ready for our trip to my parents house. I'm excited for a vacation and some relaxation away from everyday life but I'm dying to craft. I am planning on sewing a hooded towel tomorrow for a friend who just had a baby that lives in Washington so maybe that will appease me.